Coulibaly, a Saint-Denis Muslima policewoman stole high powered weapons, ammunition boxes. and magazines from the police. In addition to her arrest, four other Muslims, aged 19 to 31, were indicted in the plot. She is also suspected of spying – consulting police files to inform her brother and friends of police intel. 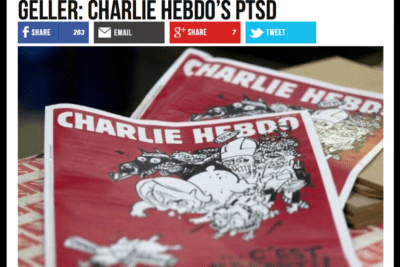 I find Charlie Hebdo’s swipe (no pun intended) a bit hollow for two reasons. 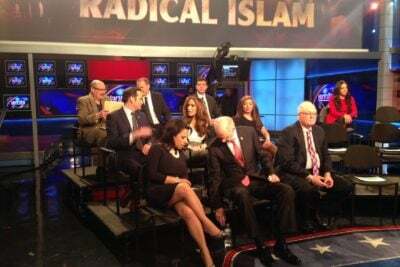 Firstly, they attacked me after the Garland jihad attack in Garland Texas saying I was obsessed with Islam – when in fact I am obsessed with freedom. Would they have me submit to the sharia? 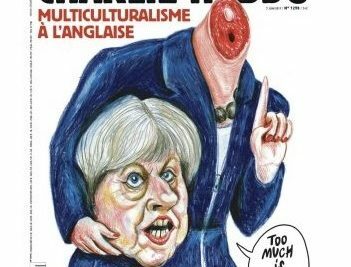 And secondly, after the Hebdo jihad attack the French magazine bowed to Islam and said the magazine would no longer draw Muhammad in cartoons. Three people have been charged with supplying arms to jihadists who staged deadly attacks in 2015 on a Jewish supermarket in Paris and the Charlie Hebdo satirical weekly, a judicial source said. Muslims students refusing to integrate, demanding Muslim prayers times and special Islamic accomodation, harassing, bullying and attacking non-Muslim students – most especially Jewish students (their favorite prey) — is a cultural thing not to be criticized but to be respected. Speak of it and you’ll be brought up on charges. That is sharia – that is islamization. That is the end of freedom and equality of all before the law.